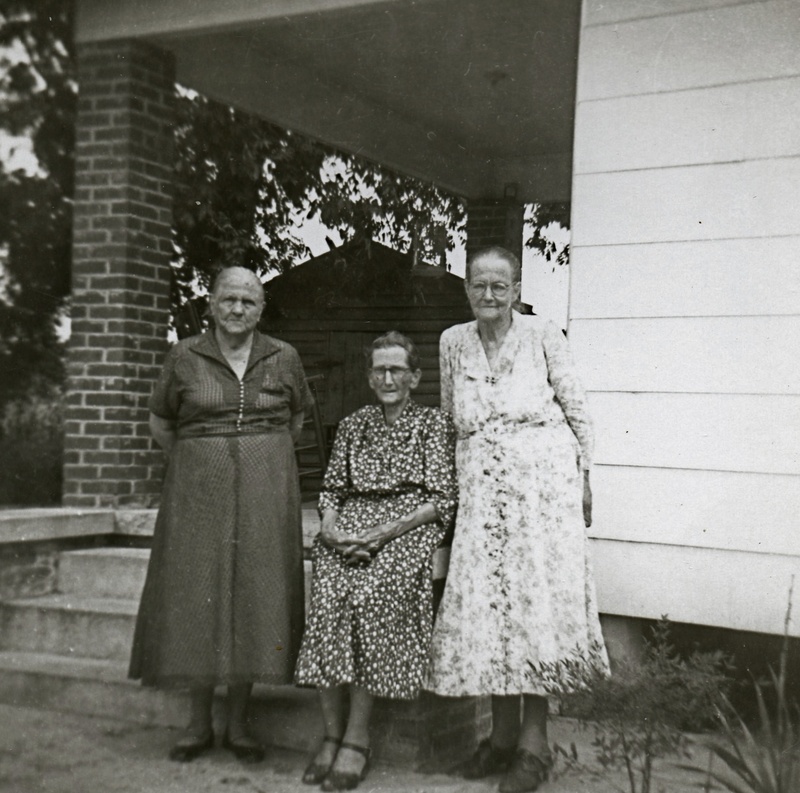 Letitia Virginia "Ginny" Cox Carter (1869-1958), Fowler Stone Tanner (1882-1962), and Leasie Haselden Stone (1879-1963). The photograph is taken at the home of Ginny's niece, Esther Carter Thompson, in the Midway community near Johnsonville, SC. “Virginia Carter, Fowler Tanner, and Leasie Stone,” Johnsonville SC History, accessed April 19, 2019, https://www.johnsonvilleschistory.org/items/show/649.